Home for the holidays… Merry Christmas! 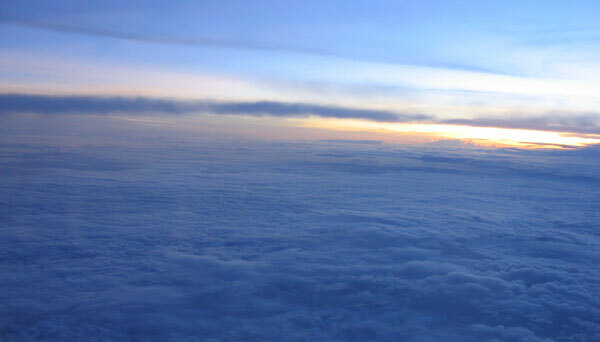 I *love* flying – where else do you get such views from the comfort of your armchair? I’m home! 🙂 After over 30 hours of travelling and transitting, and five days spent shopping, eating and generally living the high life in Bangkok. I had my hair cut. I now own five more pairs of footwear. I ate a ridiculous amount of seafood, and other assorted delicacies. 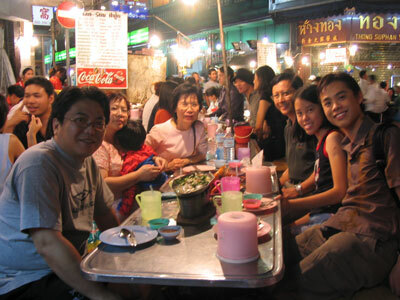 I highly recommend Bangkok as a great, and cheap!, holiday destination. So much seems to have changed in just four brief months. The newspapers have a different layout, the basement of Wisma Atria has been overhauled into a considerably more open-plan, casual dining area, the long-vacant Leo house at the end of the street is occupied by a family with a pool table on the porch. I could go on and on. In other news, I did gratifyingly well (relative to others in the class) for the Chem midterm I took just before leaving campus (I had less than two hours to pack after leaving the exam hall). I sure hope this signals that I have a chance of rescuing my abysmal grade in the final.